Like some other bee species, honey bees are social and live in colonies numbering in the thousands. They are known for producing and storing honey, or liquefied sugar, as well as building impressively large nests using wax secreted by workers in a particular colony. 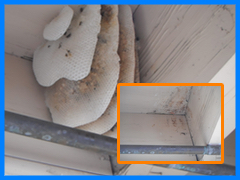 Honey bees have been major pollinators of flowers and, therefore, the plants producing the flowers have relied on the bees.However, once they take over attics and walls’ voids in houses and commercial buildings, they become a problem for home owners and businesses. 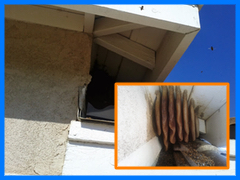 In these cases a bee- keeper could remove the bees or a chemical treatment needs to be applied to solve the problem. Dealing with honey bees is a complex issue and the degree of difficulty to deal with them is much greater. 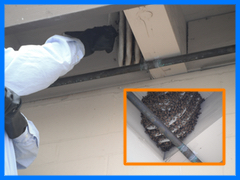 The first step in the process is to identify exactly where the honey bee colony is located in your home. When honey bees move into a cavity, they first build wax comb cells and begin to fill some with nectar (this later becomes honey) and pollen. Honey bees build honeycomb out of wax. Other stinging insects use wood fiber to build paper nests, or they may use mud as a building material. 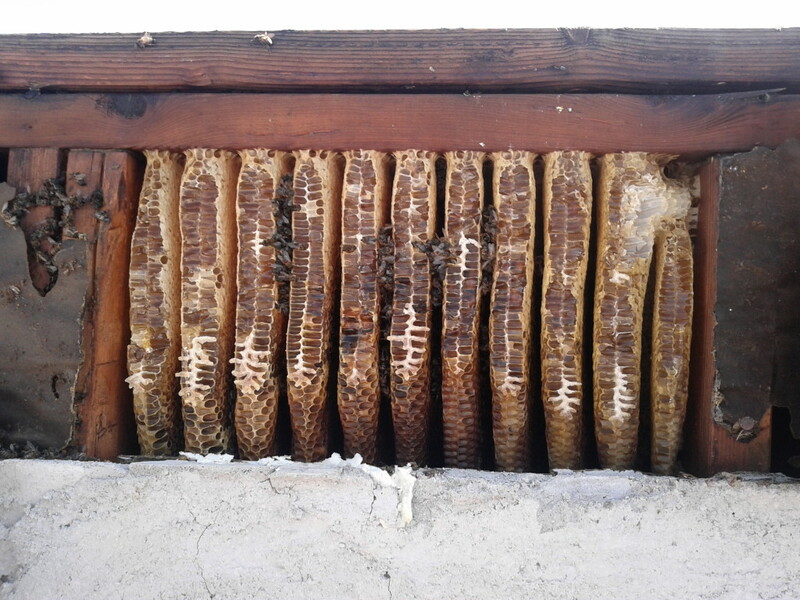 Section of an outside wall showing the stucco removed and you can see the combs that the honey bees have built. After a dead colony has been removed and the structural damage caused in removing the colony has been repaired, the area must be cleaned thoroughly with soap and hot water. Odors left by the killed colony can linger for a long time and attract other swarming bees.